For a young 8 months old female chihuahua, her short time on earth has been nothing but an uphill struggle. For some unforsaken reason, her owners just didn’t have the time to care for her, nor show her the love and attention she deserved. 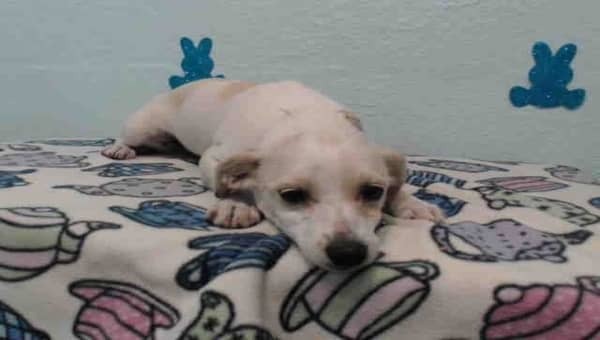 I don't have a name yet and I'm an approximately 8 months old female chihuahua sh. I am not yet spayed. I have been at the Lancaster Animal Care Center since March 30, 2018. I am available on April 4, 2018. You can visit me at my temporary home L329. Life is filled with so many ups and downs, twists, and turns, that nowadays, it is hard to tell the difference between the ones who say they love you, and your actual enemy. And for her, the betrayal is all too real. 0 Response to "Abandoned 8 months old chihuahua is losing hope, will lost her life unless someone cares"